A compact comfortable throne with a round top. 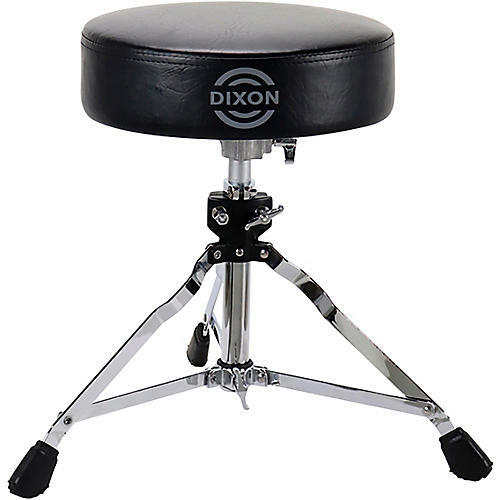 The Dixon Little Roomer Round Cushion Drum Throne is designed for drummers who play compact setups or in tight spaces. The thick round 13" vinyl cushion is comfortable for long rehearsals and the double braced legs and memory locks make sure your seat isn't going anywhere.